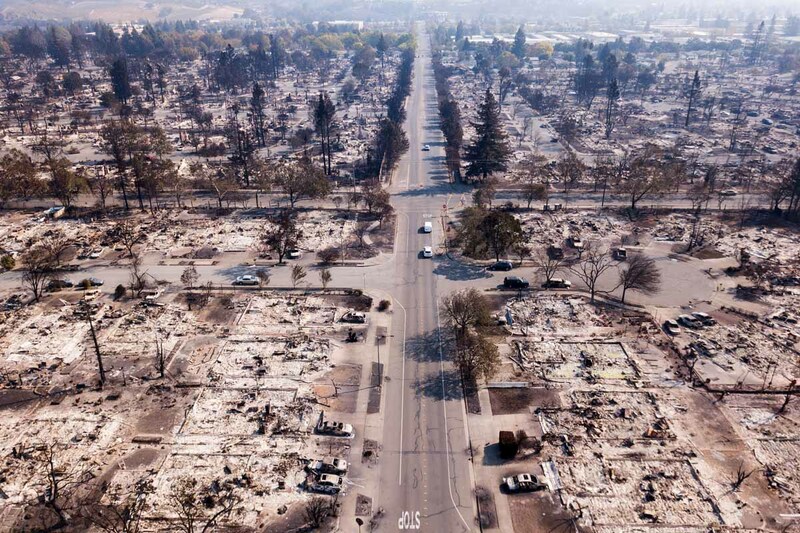 Santa Rosa, California, US -- At a certain point, I just began to run out of words to describe the devastation. Desolate. Lunar. Apocalyptic. What else can you say when hundreds and hundreds of homes turned to ash surround you as far as the eye can see? Just weeks before, in August, I had driven down the lush, verdant hills of California’s wine country with my family. Recently arrived in San Francisco to cover high tech for AFP, obviously one of the first places that I headed to explore was the rolling hills of the famed wine country -- Napa, Sonoma. The region did not disappoint -- beautiful, with good wine, good food, friendly, laid-back people pouring their heart and energy into the world-class wines they were producing. We had sandwiches and wine in gorgeous vineyards, under blue skies, surrounded by beautiful trees and flowers. The house we rented overlooked green rolling hills. It was all so peaceful and green. Idyllic. Heavenly, you could say. And now I was back, but oh, how the landscape had changed. It was now hellish. Smoke was everywhere, scratching the throat, stinging the eyes. The sky was mostly yellow. And fire was never far away. California is used to wildfires. It’s an annual part of life in this lively state, just like the threat of an earthquake. Sometimes people lose their property. Sometimes there are fatalities. But the fires that broke out in October 2017 have been wildly ferocious in their intensity and speed, fed by strong winds that sometimes propelled the embers across six-lane motorways. People literally fled for their lives, sometimes beating the flames that devoured their homes by mere minutes. And the number of people who have been affected this year has been unprecedented. Dozens dead. Thousands left homeless. 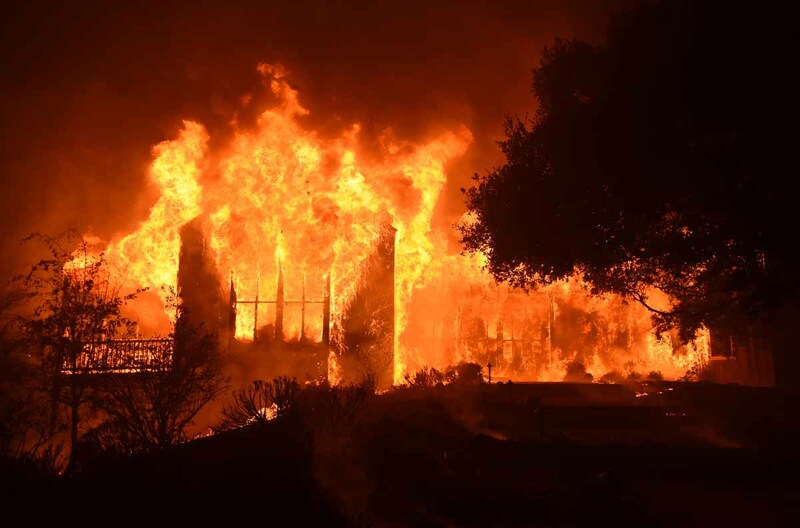 “I’ve been with Calfire for 30 years and I’ve seen big fires, but this is extraordinary -- having that many and that large and going so fast,” one veteran firefighter told me. You could feel the fires as far away as San Francisco, 55 miles (90 kilometers) to the south, where I live -- the smell of smoke woke me up at night and my backyard was covered by a thin coat of ash. When my editors asked me if I would be willing to go cover the flames, I quickly said yes. I’ve never covered a wildfire before but I wasn’t too worried, as I didn’t plan to get too close. But I wanted to see the aftermath and tell the stories of the people who had lost everything. When you are a journalist and there is a big story happening one hour away, you kind of feel the need to go there and tell the story. It took me about an hour by car to reach the first roadblocks. Despite their fatigue, the stress and the omnipresent smoke, all of the police officers and firefighters whom I came across on this story were patient and polite. Each one concluded the conversation with a “stay safe.” It struck me as odd -- why are they saying this to me, who is perfectly safe in her car, when 10,000 firefighters are risking their lives and so many people have lost everything. Entering the affected areas felt like being on a set of an apocalypse movie. Or in the aftermath of an atomic bomb. In Coffey Park, a neighborhood of Santa Rosa, I drove slowly through the streets. Dozens and dozens of houses had been reduced to ashes. Not ruins. Ashes. Most of the homes here were made of wood and the flames annihilated them in minutes. 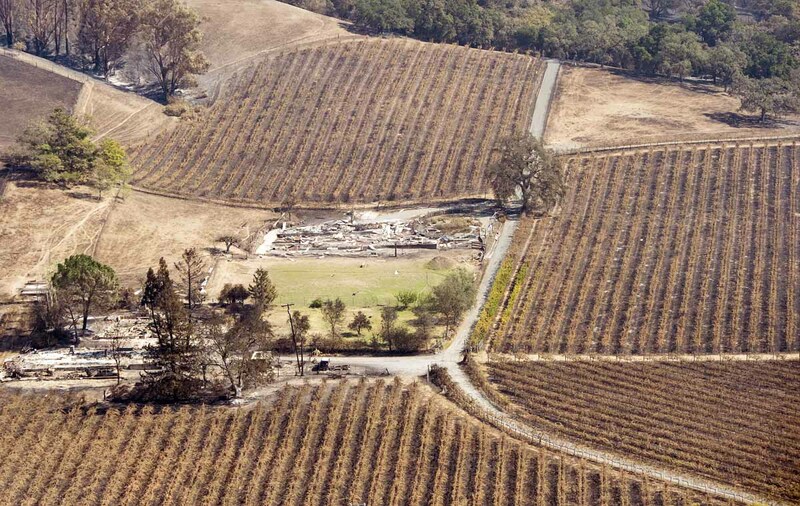 Later, when I saw the aerial pictures, I would realize that hundreds and hundreds of homes had met this fate. Here and there, a chimney or a charred tree would poke up through this sea of ash. Many of the cars, parked in what used to be garages, have partially melted, as have the garage doors. Bizarrely, many of the metal mailboxes standing at the entrance of the driveways didn’t. Silence blanketed this surreal scene, interrupted only by the sporadic cries of crows flying about. The place was nearly deserted. Cell service intermittent at best. I finally joined forces with my video colleague Sebastien Vuagnat, who came to cover the aftermath from Los Angeles. We’d agreed to meet in Coffey Park earlier in the day. 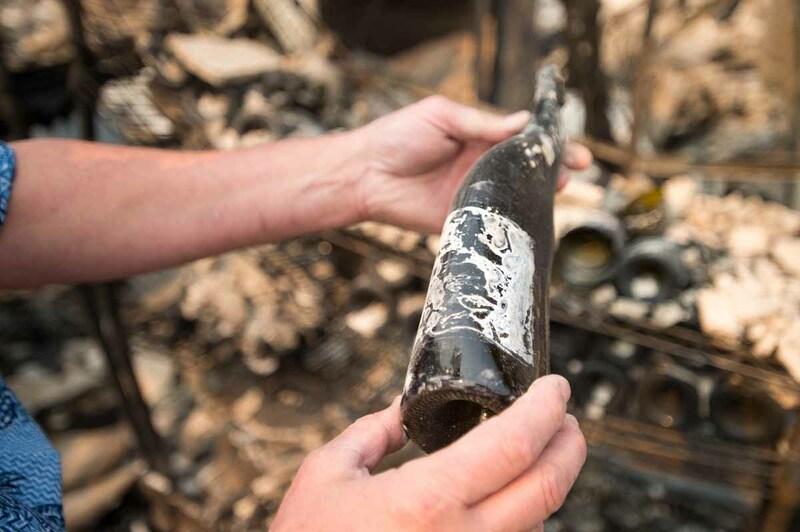 Amid this utter devastation, I was struck by the optimism of the residents who had come back to look for any things that hadn’t been incinerated. They may have been crying as they picked through the ashes, but every single one whom we met was fiercely looking to the future. “Tomorrow is another day,” said one. They were like the embodiment of the cliches about Americans with which I grew up in France -- never giving up, always positive, determined to rebuild even after everything was lost. Like Michael Desmond, a stocky retired 63-year-old policeman. He cried, his voice choking, as he told us that his life was in this house now reduced to naught. With his nephew, he managed to recover a plate bought in Disneyland and a mug with an inscription “It’s wiser to be in Ireland.” He also made sure to take his mailbox -- the metal type on a pole that is typical of American suburbs. “I took my mailbox because it’s going to go back up,” he told us, holding it up defiantly. Covering tragedies as a journalist means that you regularly come across people who have lost everything, who have lived through traumas. Like all the victims we met, Barbara didn’t mind us intruding on their misfortune. Like many, telling her story seemed to be cathartic, the words tumbling from her lips into my notebook. “Do you think I have to continue paying my mortgage?” she asked me. “I don’t know, I guess that’s not the most important thing right now,” I tell her. “I have heart medication, but I don’t have it anymore,” she said. The only thing I could do is put my hand on her arm. In the back of my mind, I told myself that at least this tragedy happened in a rich, peaceful country, that these people’s homes would be rebuilt. It sounded cold, but it helped me keep my emotions at bay so that I can work, and not think too much about how long it would take this area to regain the idyll that I had witnessed just weeks earlier.